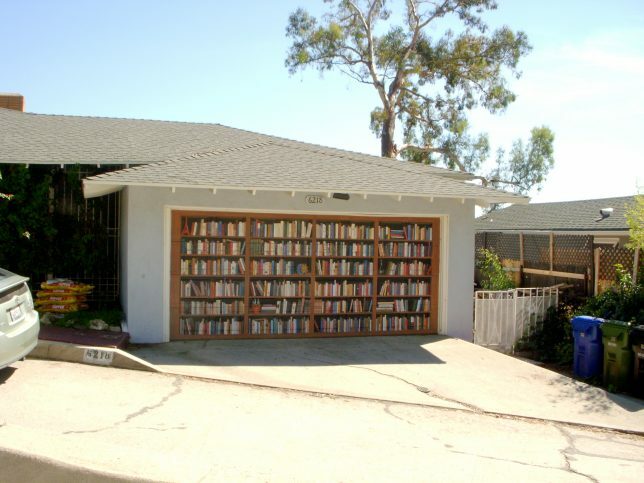 Could there be a bookmobile parked inside this awesome Hollywood Hills home’s garage? 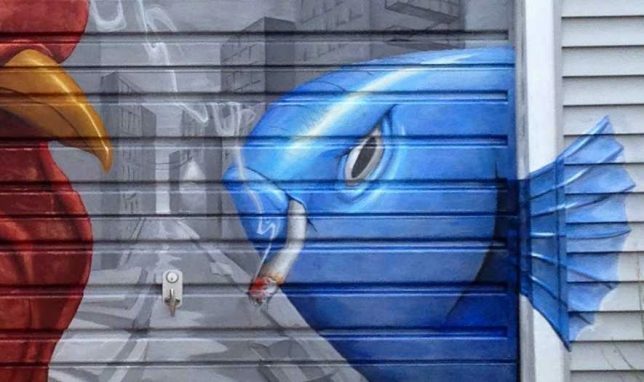 Kudos to the artist who very obviously took great pains to render every book – even the odd shelf-filler – in plenty of detail on the house’s garage door. Young burglars are sure to be dissuaded by the massive faux library stuffed with rows of faux books… whatever those things are. Don’t fret that this er, unusual garage door won’t “rays” the community’s property values… the state of the driveway, landscaping and lawn have that aspect all taken care of. Besides, it could be worse: the “artist” could have used bright primary colors instead of soft pastel tones. 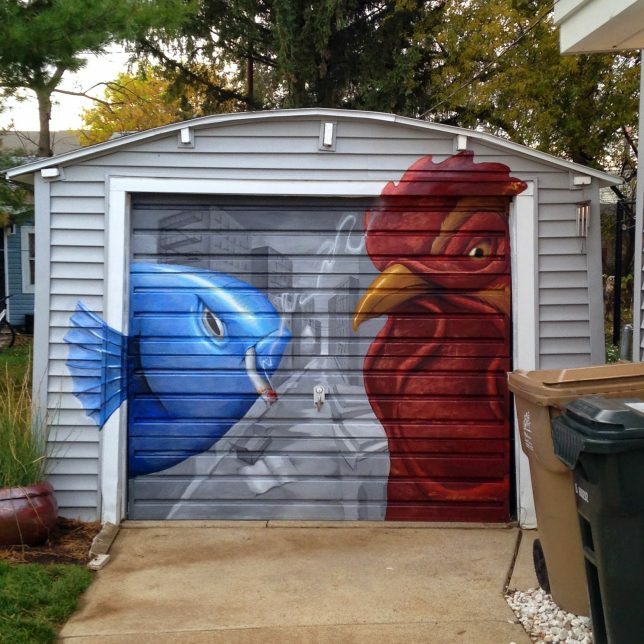 Philip Salamone of DrawPaintSleep states his bizarrely beautiful garage door mural “still needs some work” but even at press time (October of 2014) it looks incredible! One might even say, Smmmmokin’!! Methinks the owner of the above garage doth protest too much? 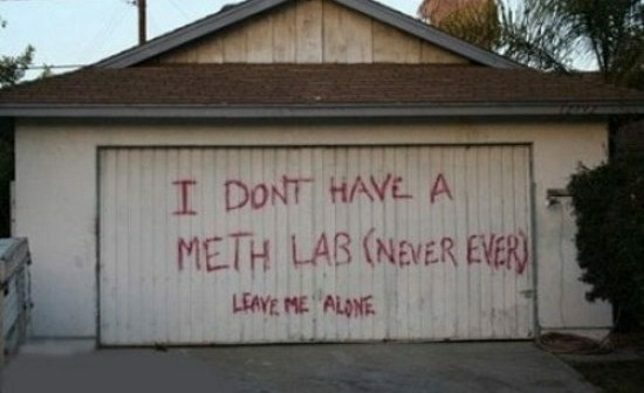 Then again, perhaps he’s being trolled by his neighbors who would seem to have some suspicions. Bonus points to whomever wrote the message; not a single spelling mistake. Case (and door) closed!